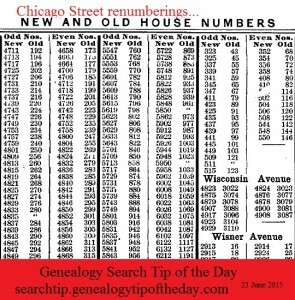 This guide covers street name changes and is also from the Chicago History Museum’s website (click here). This entry was posted in Uncategorized on June 23, 2015 by mjnrootdig. 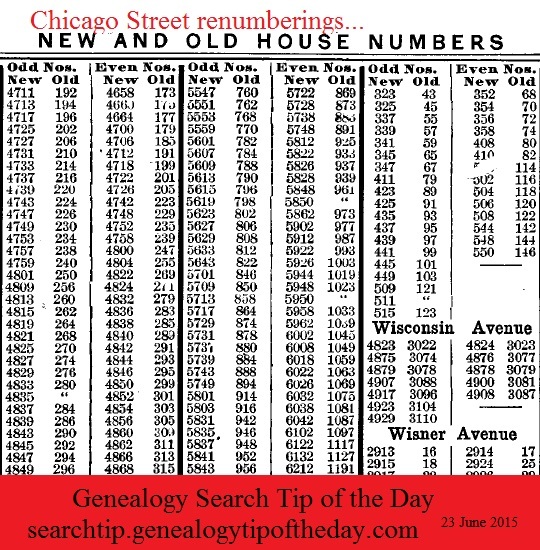 Thanks for poiinting out the street numbering changes and for giving me another online resource for Chicago, the Chicago History Museum.